Welcome to Seamus Currivan Carpentry Services, a carpenter and roofer based in Golden, Cashel, Co Tipperary. Standard sizes - 32" x 20"
All orders have a minimum notice of ten days. Go on give your family pet a treat today. The nest boxes meet both the requirements of the birds in terms of optimum dimensions. 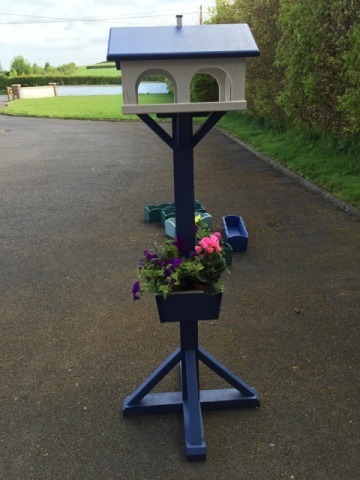 These nest boxes give a wonderful complement to any home garden and endless enjoyment to young or old. They are completely predator safe. 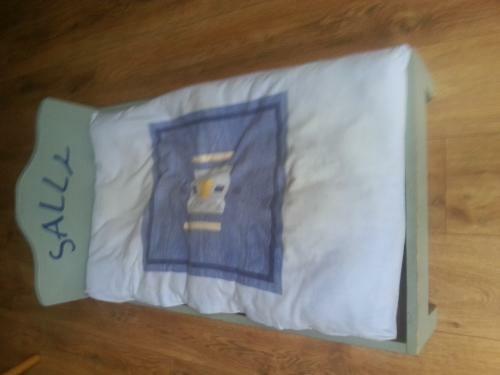 These box's can be made in any size but the standard size is 16". 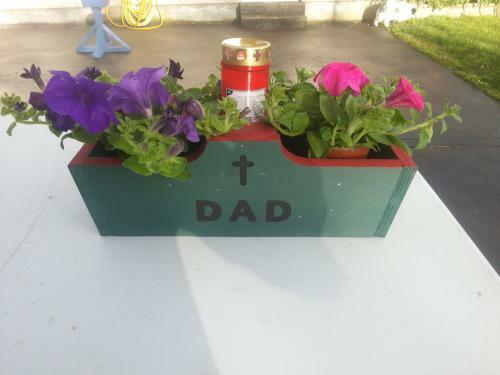 We can personalise these grave box's for Dad, Mam, Grandad, Nannie, Son or Daughter. 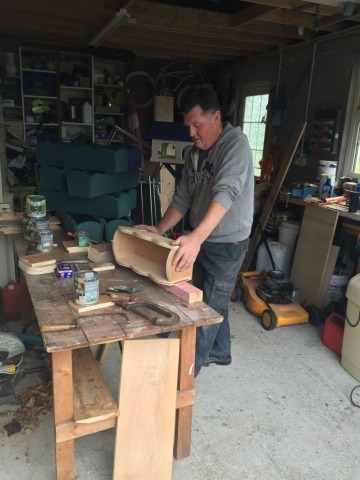 Any one name can be hand crafted to your grave box for example Marie or Currivan. All outdoor items are finished with Ronseal Woodland Silicone Base Paint ensuring the life of your purchase last longer. Red, Green, Blue, Pink but if you require any additional colours we can arrange same with an extra fee of €10.00. Flowers not included, add own fresh flowers for Summer & artificial flowers for other seasons. Size of Window Box can be made to any size to fit your window size requirements. The window box is finished with Ronseal Woodland Silicone Base Paint, this paint ensures that the rain will run off the window box leaving your box with a long life span. Flowers not included with Window Box's. Call Seamus Currivan to discuss in more detail about your personalised products. The nest boxes meet both the requirements of the birds in terms of optimum dimensions. 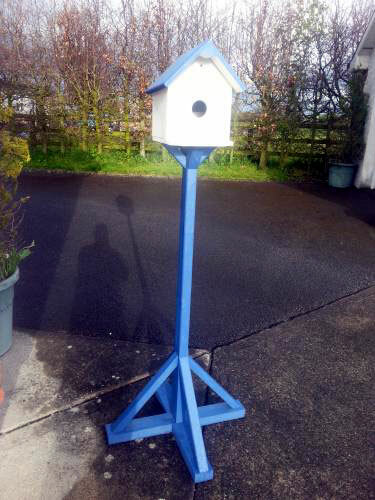 These nest boxes give a wonderful complement to any home garden and endless enjoyment to young or old. They are completely predator safe. These box's can be made in any size but the standard size is 16". We can personalise these grave box's for Dad, Mam, Grandad, Nannie, Son or Daughter. 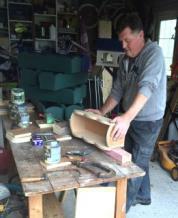 Any one name can be hand crafted to your grave box for example Marie or Currivan. All outdoor items are finished with Ronseal Woodland Silicone Base Paint ensuring the life of your purchase last longer. Flowers not included,  add own fresh flowers for Summer & artificial flowers for other seasons. Size of Window Box can be made to any size to fit your window size requirements. 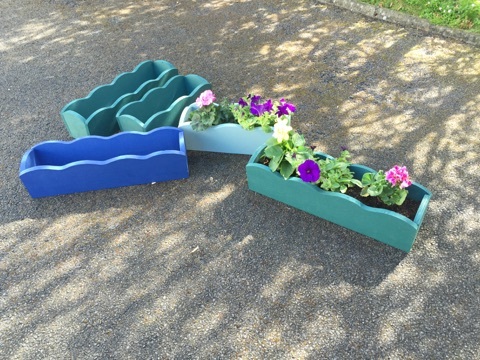 The window box is finished with Ronseal Woodland Silicone Base Paint, this paint ensures that the rain will run off the window box leaving your box with a long life span. string(55) "images/sobipro/entries/691/Window Boxs with flowers.jpg"
string(62) "images/sobipro/entries/691/Seamus Currivan Profile Picture.jpg"
string(61) "images/sobipro/entries/691/Bird Feeding Tray with Flowers.jpg"
string(30) "BIRD FEEDING TRAY WITH FLOWERS"